The power of personalization is no secret to real estate agents today. Today's home sellers and buyers have come to expect—if not demand—commmunication from agents that is anticipated, relevant, and timely. Unfortunately, message personalization often only goes as far as putting a client's name in the email subject line or adjusting the send time to the recipient's location. But this is only the tip of the iceberg. True personalization is about so much more. It's about understanding the behavior of your leads, clients, and past clients, and then tailoring your messaging around that behavior. In this blog post, we'll offer our best advice for getting personalized messaging right as a real estate agent. Before we get to the tips, lets take a look at a very simple example of how my marketing team and I create personalized messaging for Realvolve leads. Here at Realvolve, we offer a 14-day free trial. We know that if someone doesn't upload their contacts when they start that trial, they'll be at a disadvantage when trying to generate the proper lead conversion, lead scoring, or relationship understanding. So, crafting an email around getting Realtors to take that one particular step is a very good idea. But the messaging personalization really comes to life when we use real-time behavioral data. Targeting your messages to your customers' behavior might be harder than slapping their first names in the subject line...but get it right, and you'll be well on your way to deeper realtionships with clients and leads. Not all lead or client behaviors are created equal. 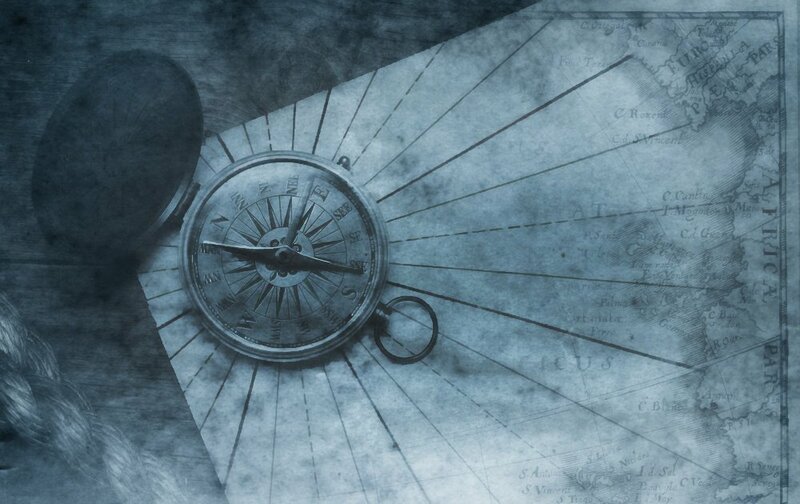 It's up to you to figure out which of your leads' behaviors are worthy of triggering a message. If you're unsure what these important actions look like, start by defining your ideal end state. Begin with the end in mind. For example, you might ask yourself: What does a successful open house lead look like? What are their goals? Are they the right fit for this listing? Then, you can think about which behaviors would indicate that they are the right fit for this listing. Maybe they ask a lot of detailed questions about the listing, or maybe they arrive accompanied by their buyer agent! Just because a message you send is personal doesn't mean it's of value to your customers. Let's say you just signed up for that cool new productivity app all the agents are buzzing about. Behavior #1: You downloaded the app. Then you take the next step, inviting your marketing coordinator and a few agents, and you figure your transaction coordinator could use it too. That's Behavior #2. Next, you create your first To Do list (Behavior #3) and upload your first file (Behavior #4). All in the space of 30 minutes. And, like a configuration of falling dominoes, a series of four messages (one for each action you took) hits your inbox in a predetermined order (even if you don't open one message, they keep coming). And then you unsubscribe. Does it make sense to attack your new lead's inbox with messages for every single action they take? Of course it doesn't. For example, you might send your Neighborhood eNewsletter opt-ins a welcome email, but then leave them alone for the next few days if they're making good progress. Having data on the actions that people take in relation to your style and approach as a real estate agent is among the most powerful kind of information you can have. But it tells only one part of the story. To deliver meaningful one-to-one personalization at scale, you need to use the many context signals at your disposal. Let's say you offer a home search app and a new client has taken one of your app's most important actions: they completed their "Wish List" of desirable qualities in a home. A perfectly adequate message to send here would be, "Congratulations on setting up your Wish List—you're one step closer to your dream home." Ask yourself: What else do we know about this customer? Have they opened previous messages? Have they been to one of my open houses? What type of "lead source" are they (farming, social media lead, etc.)? Have they opted out of my marketing communications in Realvolve? Where are they on the scale of closeness is referred to as propinquity? Or in other words are they aware of me, how much do they know me, like me, or trust me as their Realtor? 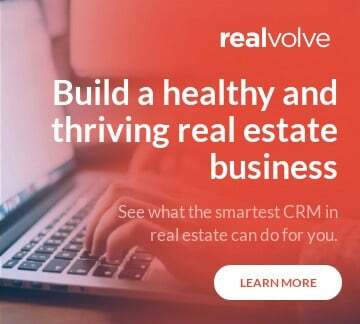 When you use a powerful tool (like Realvolve *wink wink*) to acquire this type of information, you can create ultra-personalized messaging—even on a large scale! Personalizing your messaging correctly as a real estate agent is at the core of a sound—and scalable—engagement strategy. The idea of a "spray and pray" or "blasting" messaging strategy is ancient practices, whether you're a new agent just hitting your stride or a large team swimming in leads. The good news is that once you've properly got to grips with behavior-based messaging, sitting down to write the perfect message becomes much easier. (Need some help? 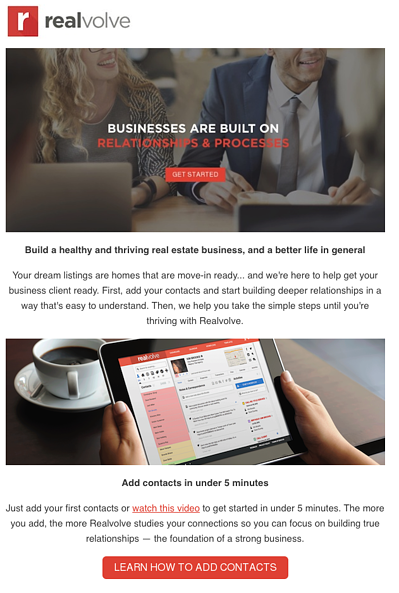 Check out our 10 Real Estate Email Templates for Lead Conversion to get you started).